I've never seen a laprade without flutes ... and that's that shiny. The co-op is a great choice, followed by searching ebay cycling products for "26.4." You could also search for 26.6 if you don't mind a couple hours of filing/polishing. I forgot about them. Nice! Pretty sure I will skip the filing and polishing. Though, too bad I no longer in a shop with a machinist in house. Appreciate the idea though! I am happy with the VO 26.4 post I have on my Motobcane. 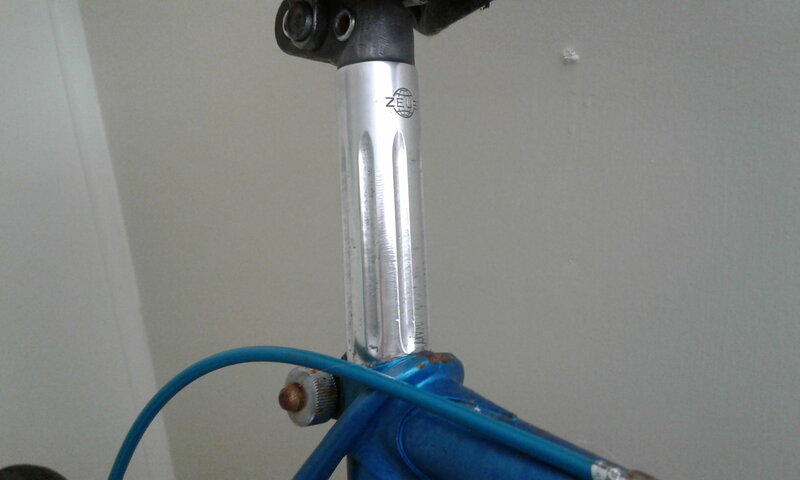 What happened to 26.4 mm seatposts is that French dimension steel frame tubes stopped being manufactured. And that plain gauge 531 fell out of favor? That looks pretty nice and not a bad price. I've been using either vintage Campagnolo posts or Origin8 Unos from eBay. I still prefer Campy, but I'll remember that VO post as plan B next time I need one. The $5 Takara that I picked up recently has a 26.4 mm steel post. I had not yet looked for a replacement, since I only bought it for the usable parts. Seatpost shims are pretty available, and fairly easy to improvise, for that matter. I bought a couple of these from Poland and am completely satisfied with the price, appearance and the quality. They did take about one month to arrive though. X2 on the 26.4 seatpost from Velo-orange, bought one for my 78 Supercourse, much nicer then the original, or anything else your going to find at the co-op. In mid range frames, plain gauge 531 or CrMo was indeed popular in one or more frame tubes in the 1960s and 1970s. I can confirm that my plain gauge 531 Capo does take a 26.4mm post, whereas the butted 531 Capo takes the expected 27.2. 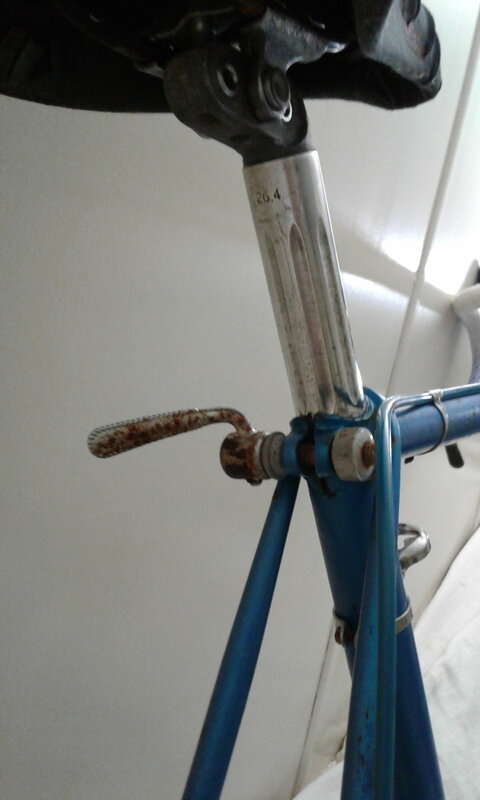 Circa 1973, Nishiki addressed oscillation in its 25" Competition frames by switching to plain gauge CrMo in the downtube. Origin8 sells a 26.4 seatpost but I have no idea on the quality level. Lots of 90s MTB seatposts in that size. if you want new I'm sure Thomson makes one. It'll be stronger than anything else. I have one of those posts on my PX10. Looks nice and it works fine. It's basically a Nitto S63 knockoff. At the time I built it up Simplex posts were going for $200 on ebay, and I just could not justify that. My current PX10 was put together from a mostly bare frame, and building up with all correct parts would have been over $2000 at ebay prices! For perspective, I bought my first PX10 complete with the Simplex seatpost and Brooks B17 special for $100 in 1991. That said, I noticed vintage prices have come down a lot in the last couple years. It's probably possible to get a vintage Simplex 26.4 post for only $100 or so nowadays. Bought the 26.6... Digital calipers say it is 26.5. And no, it won't even start in the seat tube. Bummer. Nothin' some 80 and 600 grit sandpaper can't solve.